Brian Greenspun is publisher and editor of the Las Vegas Sun, founded by his father, Hank Greenspun, in 1950. 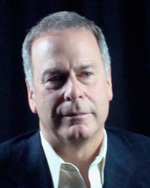 He is also chairman of the Greenspun Corporation, responsible for his family’s business interests, which include real estate development (American Nevada Corporation), the city travel site (VEGAS.com), print and online publishing (Greenspun Media Group, the largest magazine publisher in Nevada) and luxury city magazines (Niche Media Holdings). Greenspun has bachelor’s and law degrees from Georgetown University, serves on the University of Nevada, Las Vegas Foundation and the Board of Trustees for The Brookings Institution. Brian Greenspun, editor and publisher, Las Vegas Sun, is the son of The Sun’s founders, Barbara and Hank Greenspun. Brian started working at The Sun in the 1970s. He says The Sun “gives the people who live here … an opportunity to find a different way – we believe a better way – to grow our community.” “Our contribution,” says Greenspun, “is in the public discourse in the broader community in terms of how we look at issues and how we editorialize on them.” Greenspun says the city’s other daily newspaper, The Las Vegas Review-Journal, has a more conservative editorial slant. Brian Greenspun, editor and publisher, Las Vegas Sun, says, “Las Vegas was ground zero for the foreclosure problems; ground zero for the lack of discretionary incomes being spent … so we had to reorganize.” It forced The Sun to converge its print and web-oriented news staffs (who were even located in separate buildings). But Greenspun says it helped his staff realize “we’re all in the same business.” “The digital operation and the print operation are no longer different animals,” says Greenspun. Unfortunately, Greenspun says, deriving revenue from the Internet to offset significant losses in the print operation “has been a glaring failure so far.” But he remains hopeful that digitally-derived revenues will grow. Brian Greenspun, editor and publisher, Las Vegas Sun, says his newspaper is focusing on “bundling” print and digital advertising to meet its advertisers’ goals. Brian Greenspun, editor and publisher, Las Vegas Sun, says to work at The Sun “you need to be digitally proficient, know how to write, want to write and work and work and work.” If you apply at The Sun “come with a work ethic and a desire to change,” says Greenspan.